The Hilarious Red Green Performs on TV and Kicks Off His 'This Could Be It!' Tour - Newhillbilly website. 100% American Roots Music. With 11 shows already SOLD OUT, Smith embarks on a 35 date trek across the U.S., and then a 25 date fall tour throughout his homeland of Canada, which kicks off September 20 in Red Deer, Alberta. More dates are expected be added, so please visit RedGreen.com for the most up to date tour schedule. To celebrate the tour's kick off, Steve Smith is making several special TV & Radio appearances, including TBN's Huckabee. Smith was also recently featured on Big D & Bubba March 14, which can now be streamed via their website, along with a special appearance on DayTime March 22, at 10 am CT. He will also be featured on Nashville Insider airing the week of April 18 on their network of affiliates, including AXS and Heartland TV. 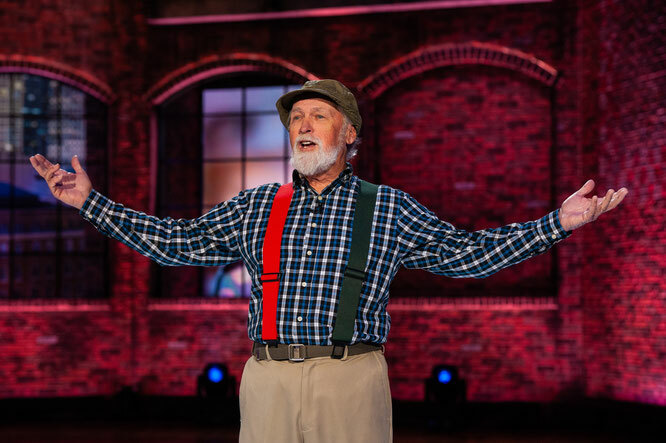 Red Green’s latest one man road show features some brand new handyman projects, advice to married guys and teenage boys, tips on getting old, an apology to the world on behalf of all baby boomers, with special contributions from Harold and a couple of other cast members talking animals, and a final wish from Red Green to all of his loyal fans. MAR 22 - The Palladium Theatre / St. Petersburg, Fla.
MAR 23 - Macomb Center for Performing Arts / Macomb, Mich.
MAR 24 - Ford Community & Performing Arts Center / Dearborn, Mich.
MAR 28 - F.M. Kirby Center / Wilkes Barre, Pa.
APR 01 - Interlochen Center for the Arts / Interlochen, Mich.
APR 02 - Dow Event Center / Saginaw, Mich.
APR 03 - De Vos Performance Hall / Grand Rapids, Mich.
APR 06 - The O'Shaughnessy at St. Catherine University / St. Paul, Minn.
APR 09 - Fine Arts Center at Viterbo University / La Crosse, Wis.
APR 19 - Rushmore Plaza Civic Center Theatre / Rapid City, S.D. APR 20 - Orpheum Theater / Sioux Falls, S.D. APR 23 - Orpheum Theater / Phoenix, Ariz.
APR 26 - Bing Crosby Theater / Spokane, Wash.
APR 28 - Paramount Theatre / Denver, Colo.
APR 30 - Lied Center / Lincoln, Neb. MAY 01 - Lied Center of Kansas at University of Kansas / Lawrence, Kan.
MAY 02 - Gillioz Theatre / Springfield, Mo. MAY 06 - Riviera Theatre / North Tonawanda, N.Y.